Do you like to eat but hate waiting on food to cook? Common problem, everyone hates waiting when they’re hungry. 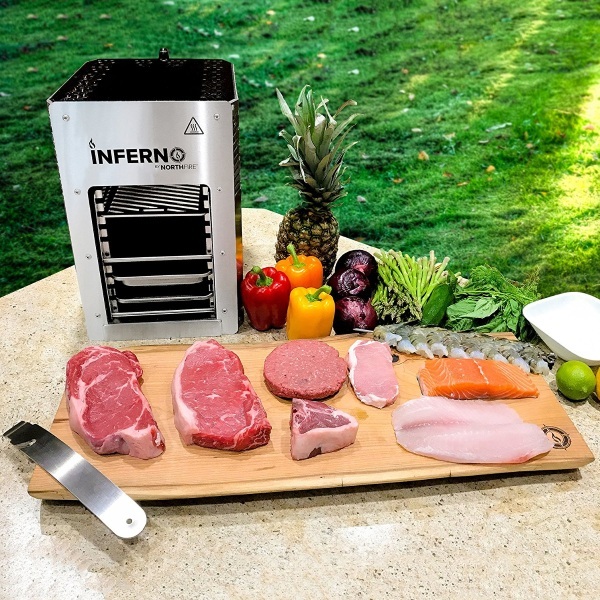 Well good news, with the Inferno you can grill up a piece of meat in way less than five minutes. This oven looks like a forge and acts like one too. This propane powered stove heats up to 1500 degrees, cooking anything inside of it almost instantly. Steaks have a cook time of two minutes which is a lot faster than normal ovens. You’ll probably want to watch this carefully because the line between done and overdone is seconds. You can use it to cook all types of meat but it is outdoor use only. 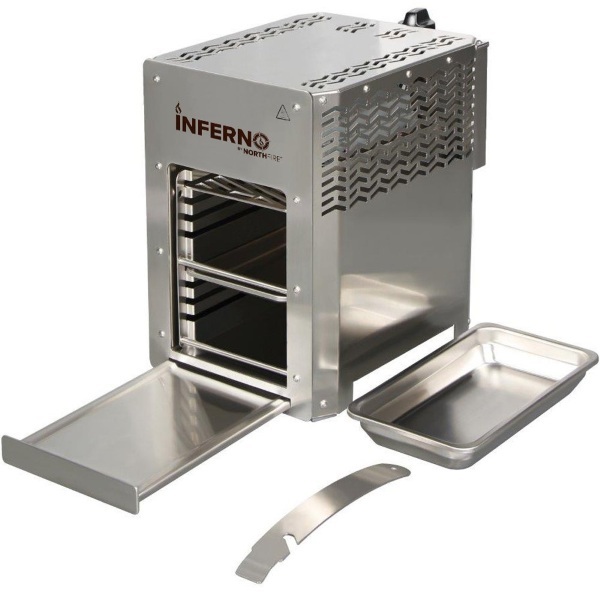 It’s made to take the place of a traditional grill but it doesn’t seem to have that same feel. Tradition or speed? It’s up to you! Easy to clean, just pop all the trays out and in the dishwasher with them. You can get one of these for $499.99. Donyae Coles – who has written 2664 posts on The Red Ferret Journal.